What is GOD Mode ? 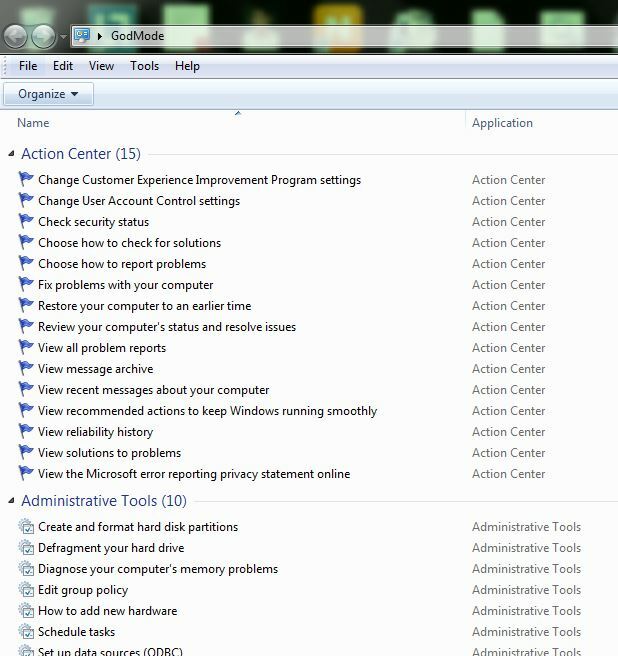 God Mode is just a centralized repository of all control panel actions,it gives 200+ actions that you can perform. The main benefits of this is that it uncovers the hidden option so anybody can fix the basic issue with the system or configure it accordingly. 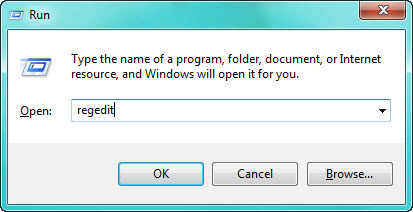 don’t worry you don’t need to go by 5-10 steps to enable it its just a New folder away(see below Animation), yeah am right. Any text – here you can use any text such as God Mode,Superman, or yourname it will work e.g. 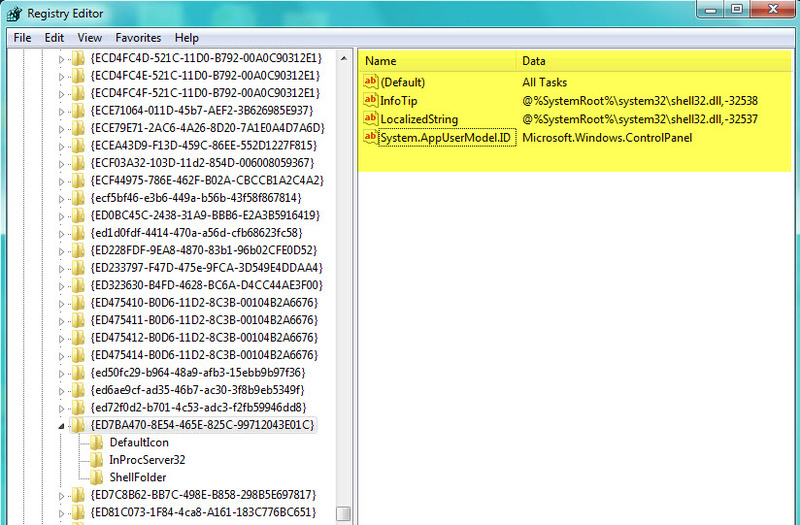 2nd part is the Actual registry value which is doing work. see the below screenshot. 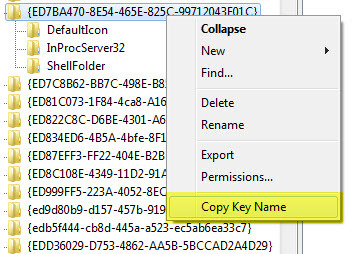 type regedit and hit enter , if you don’t have permission type regedt32 and hit enter. we only need the result show below so to find next vale , go to edit and select findnext or you can press F3. 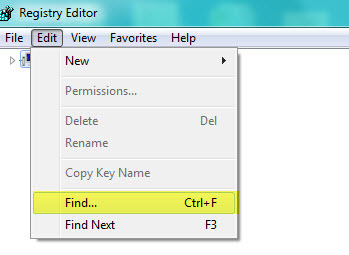 After getting the result copy the keyName and paste in notepad. this “ED7BA470-8E54-465E-825C-99712043E01C” vale can change from system to system .